In this day and age it’s hard to go a week without hearing or seeing something that relates to climate change. It’s one thing to be told about the effects of climate change, but it is quite another to feel them. This piece gives viewers the experience of climate change in their own backyard, here and now. Taken another way, Water Will Be Here has nothing to do with climate change. As the title implies, given a long enough timeframe, water—or mountains, or desert, or arctic tundra—could conceivably occupy the very spot you are occupying as you read this. In the geologic sense of “deep time” all geologic formations are possible, and in that sense, water will certainly be here. 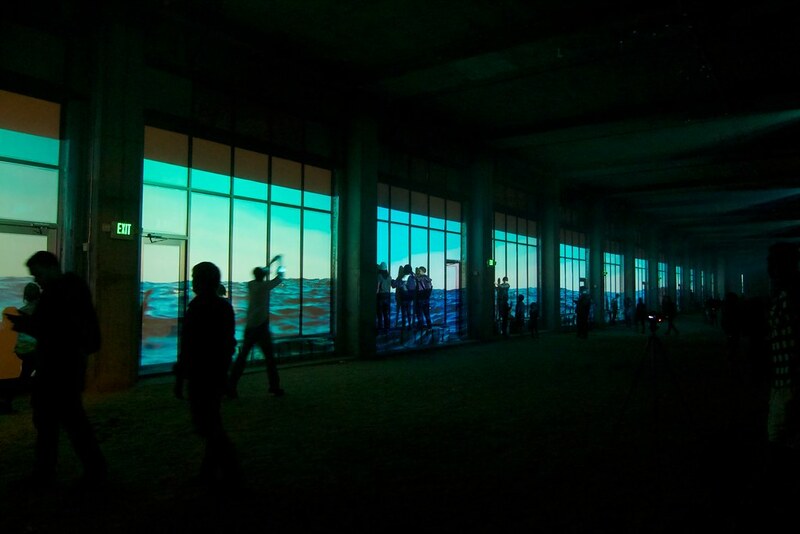 Water Will Be Here premiered at the Dumbo Arts Festival in 2010 where it measured roughly 80’ x 9 and runs 50’ on loop. 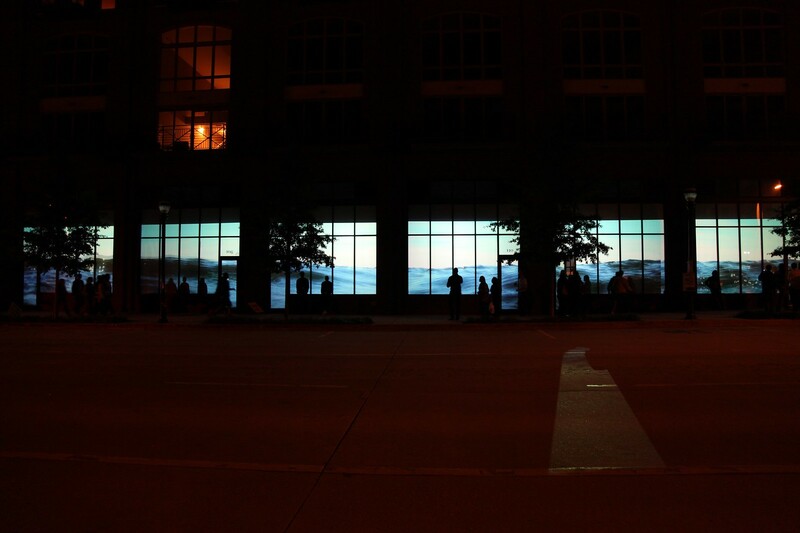 In 2011 Water Will Be Here was shown as a 12 channel video installation at FLUX, which took place in the Castleberry Hill area of Atlanta. It measured roughly 225’ x 10’. 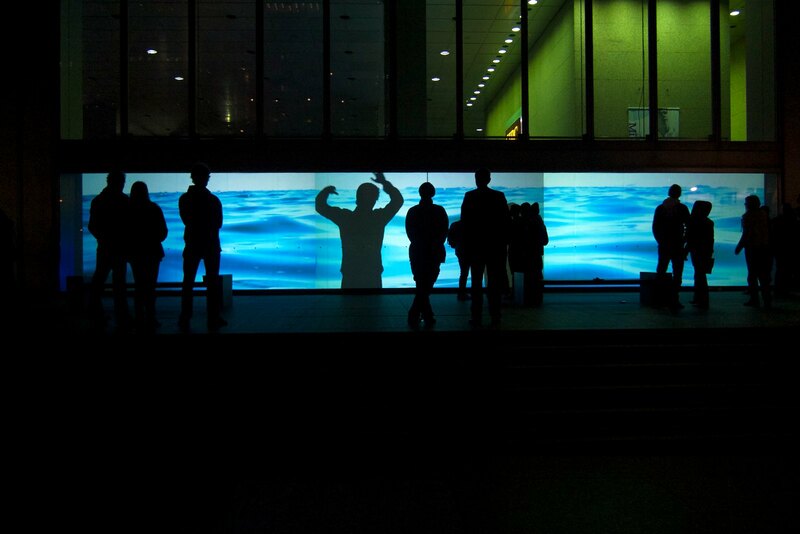 In 2012, Water Will Be Here was shown at the Nuit Blanche Festival in downtown Toronto. It was installed at the CICB Building and measured 60’ x 8’. 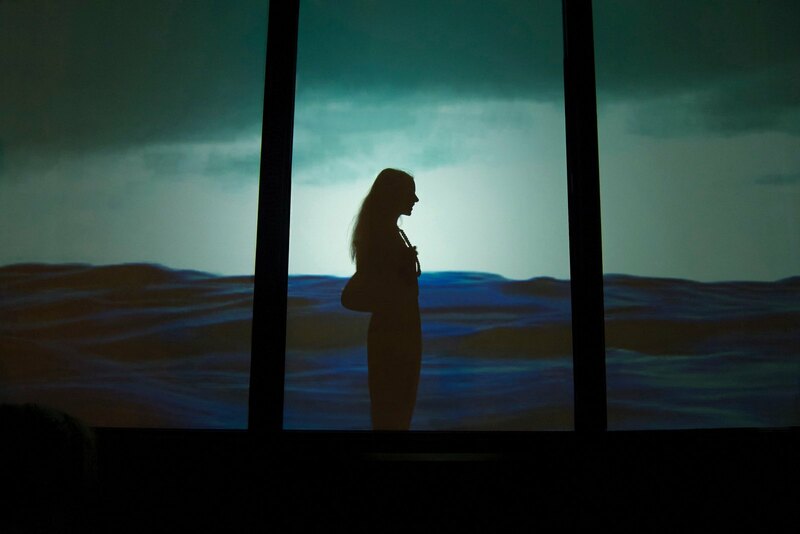 From August 10, 2013 to August 25th, 2013 Water Will Be Here was shown at the Southampton Center in the Southampton, Long Island. 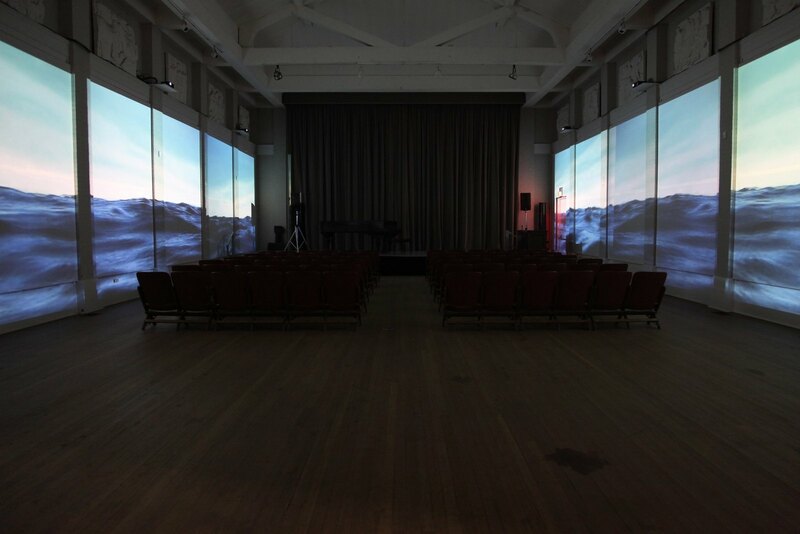 This installation marks the first time video wrapped around the interior of a space, creating an immersive environment. Furthering the resonance of this indoor environment was a custom engineered robot that made the 45' x 15' foot stage curtain billow as though being undulated by wind. Another unique feature of this installation was the fact that there happened to be a piano on stage. The artist—a self-taught pianist—took to the stage to give improvised performances, which ultimately led to the performance in New York City below. The piece measured 150’ x 10’. The robot is running on custom software written by the artist for the RobotPower MegaMoto controller shield for Arduino. This piano performance consists of an original composition written and performed by the artist to accompany Water Will Be Here. 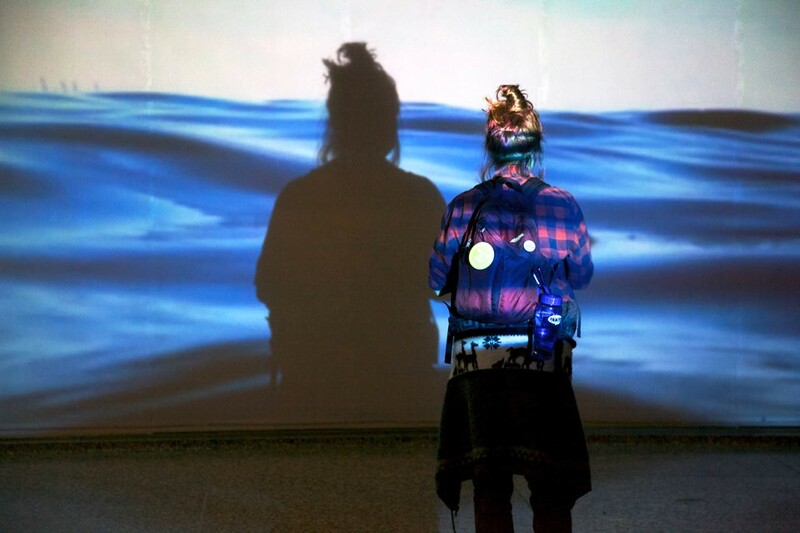 This installation marks the first time performance is incorporated into Water Will Be Here. In fact, it is only the second time I’ve ever performed anything at all in public. While the performance itself certainly has its merits and demerits, what excites me most is that this piece, which debuted in 2010, is still evolving. 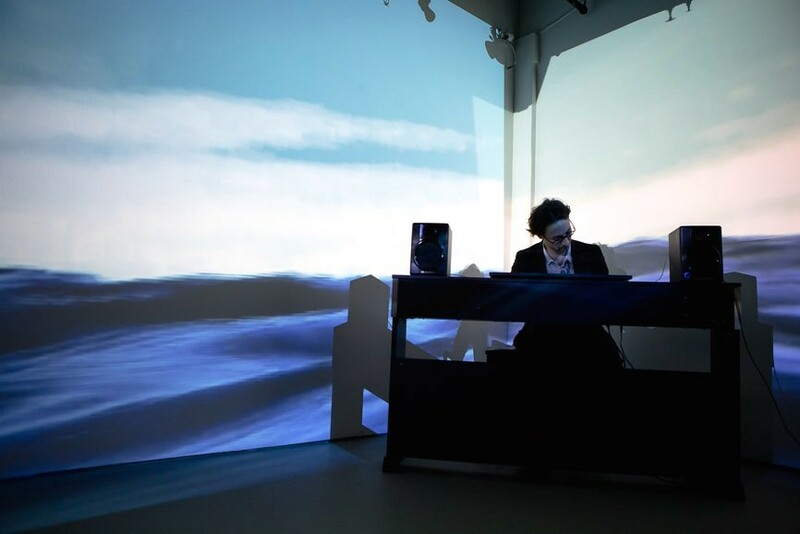 From windows (in Brooklyn) to an enclosed interior space (in Southampton) to being accompanied by a live piano performance, this piece continues to change forms and expand its boundaries. The performance was given for the New York Foundation of the Arts’ (NYFA) Young Patrons of the Arts Benefit and took place at Garis & Hahn in New York City, on March 5th, 2014. This iteration of the piece wrapped around three contiguous walls to form a viewing surface of roughly 45’. The piano composition is 9’00 long and can be started at any point during the video. In 2016 Water Will Be Here was part of Light City in Baltimore where it measured approximately 55’ x 18’ and was projected onto the facade of the Maryland Science Center, which sits just feet away from Baltimore’s harbor. It was estimated to have been seen by over 400,000 people. In 2017, Water Will Be Here was selected for the Screen City biennial and was shown in Stavanger's Maritime Museum. Full broadcast coverage of the festival is available (in Norwegian) on NRK's website. 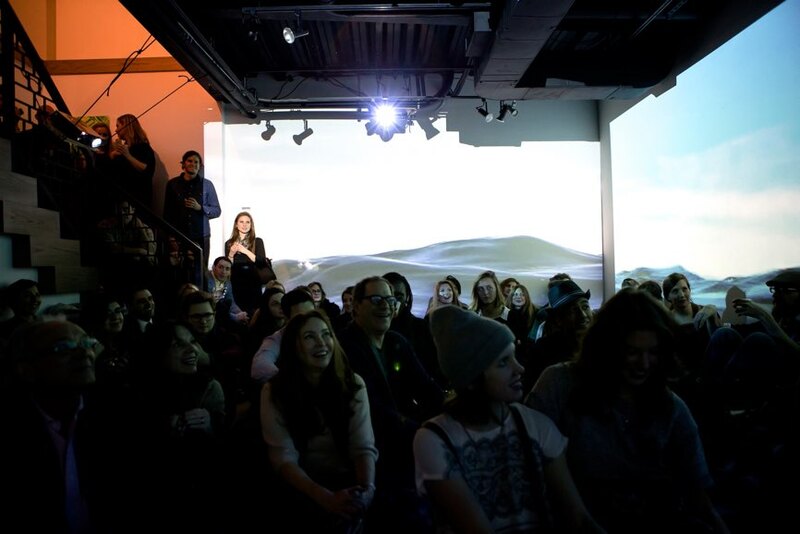 Water Will Be Here was shown three times in New York in 2018: at Pioneer Works' Village Fête, The Universe In Verse event, and at The Cultivist's Gala. Showing at Pioneer Works was something of a homecoming for the piece as it was filmed at nearby Valentino Pier in Red Hook. Also, the water level was projected roughly 5 feet off the ground—the same height as the water inside Pioneer Works during Superstorm Sandy. John Cameron Mitchell reads Walt Whitman's The World Beneath The Brine, set to a mashup of other readers with Water Will Be Here in the background at The Universe In Verse, an event that celebrates the intersections and overlaps of science and poetry. Water Will Be Here is a fiscally sponsored project of the New York Foundation for the Arts.